“Something In The Wind”, 24 x 36 inch oil painting for Sears Gallery show. This entry was posted on June 2, 2012 by dilleenmarshwomanartistrenaissance. 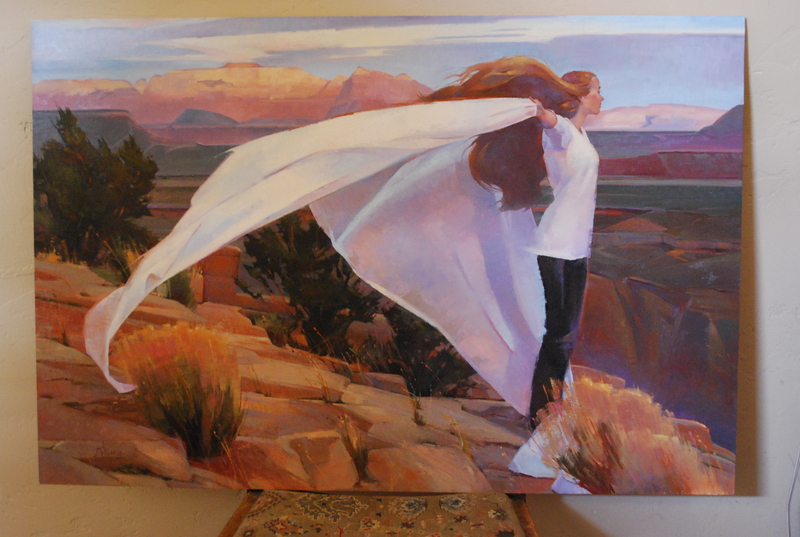 It was filed under Uncategorized and was tagged with blowing hair, chiffon, design, late afternoon light, LaVerkin Overlook, oil painting, telling a story, West Temple, wind, young woman, youth, Zion National Park.